Author of ``Post-capitalism: a guide to our future``; among Europe’s most radical thinkers on how the digital revolution is changing our world. 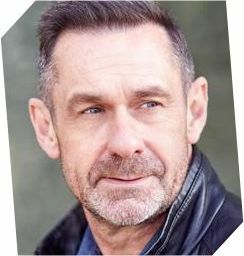 Paul Mason is one of Europe’s most controversial thinkers. He is the author of three seminal books which grapple with structural changes taking place in the economic, political and social spheres. According to Mason, “the end of capitalism has begun.” At the heart of the change to come is information technology, new ways of working and the sharing economy. The 20th century way of running organisations is dying and new ways of working are emerging. New technology facilitates and requires the change. The change goes beyond technology. Technology has helped create a new route forward. But the change also requires a change in mindset to take full advantage of the technology. We have blurred the edges between work and free time. Many of us now expect work to provide meaning and offer opportunities for genuine human flourishing. The transition to the Creative Economy has already started. The future is already here, as William Gibson observed: it’s just very unevenly distributed. The old ways may take a long while to disappear, but it’s time to be utopian. Prof. dr hab. Jacek Majchrowski is the Mayor of Kraków. He was first elected in 2002 and subsequently re-elected in 2006, 2010 and 2014. He is a lawyer and historian, and a professor at the Jagiellonian University in Kraków. He has written 14 history books, specialising mostly in the history of Polish political thought and doctrines. On 7 December 2015, he became Co-President of the Council of European Municipalities and Regions. Przemek is a member of the Management Committee and Director of Operations of IAG Global Business Services. IAG GBS, with its headquarters in Kraków, drives finance and procurement operations for the International Airlines Group companies (which include British Airways, Iberia, Aer Lingus, Vueling, Iberia Express and Level). 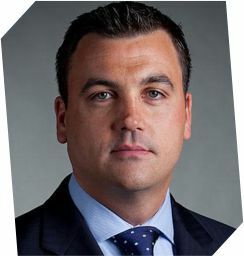 Prior to joining IAG GBS in 2017, Przemek was President of the Management Board of Rolls Royce Poland and Senior Finance Business Partner for the global Propulsion and Engines Value Stream at Rolls-Royce. Previously, Przemek worked for UK food industry group UNIQ, where he was in charge of restructuring the company to prepare the business for acquisition and prior to that he was based in France with the Michelin Group. 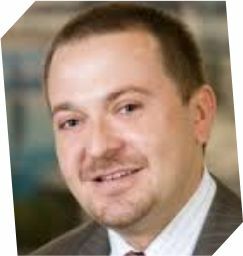 Przemek is a member of the ASPIRE Board and also leads the ASPIRE Procurement Services Leaders Group. Site Leader & Customer Care Director, Akamai Kraków. 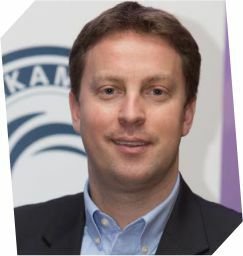 Filip Walkowicz is the Site Leader of Akamai Krakow Centre of Excellence, the largest Akamai office in the EMEA region, supporting over 20 business functions (from core engineering and platform monitoring to sales, finance and HR). He has over 10 years experience in the Information Technology and Customer Service Support area in Poland. 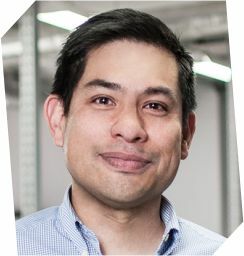 He gained his experience as People Manager at IBM responsible for delivering 1st, 2nd and 3rd level server support services to the French market. 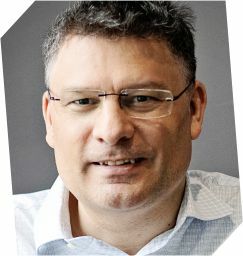 Filip is a member of the ASPIRE management board and a member of the ASPIRE Software Leaders Group. Paweł Płaszczak is a specialist in Data Science with 20 years experience. After graduating with an MSc in Software Engineering from Kraków’s AGH University, Paweł worked for CERN (Switzerland), BT (UK), and Argonne National Laboratory (USA). He later founded and was CEO of data services company Gridwise, which was eventually acquired. Paweł has delivered more than 150 database and data analytics projects to Fortune Global 500 corporations in finance, technology, travel and energy sectors alongside research and government organisations in 20 countries. Pawel is also an academic lecturer on Data Analytics, and has authored numerous tutorials and presentations, and one book. One of the few people to have climbed all of the World’s 14 peaks over 8,000 metres. In February 2018 he broke away from the rest of a Polish team in an attempt attempt to become the first person to scale the World second highest mountain, K2, in Winter. 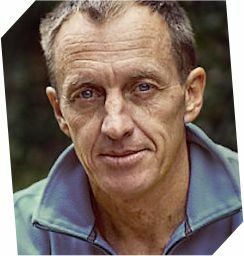 In 2009, Denis became only the 15th person to climb all the World’s 14 peaks over 8,000 metres and only the 8th person to achieve the feat without the aid of supplementary oxygen. At ASPIRE 4 ALL, Denis will speak about what performance and decision-making in the most extreme circumstances and give his own unique insight into the nature of bravery. He follows in the footsteps of Tomek Mackiewicz who spoke at ASPIRE 4 ALL in 2014. Paul Raddon has over 32 years experience with HSBC. He has enjoyed roles predominantly in Operations and IT, becoming Head of Operations, Global Service Centres in January 2018. In his current role Paul is based out of Hyderabad. Previously, he was based in Dubai as Head of Operations for MENA, and he has worked in various roles across Asia, the Middle East, Europe and Latin America. During his career at HSBC, Paul has managed many significant projects, including the rollout of standardising the operating model and systems across a number of regions. Most recently he led the Group’s divestiture programme as Head of the Regional Transaction Office. Head of Operations, Global Client Service Centres, Mainland Europe, Alexander Mann Solutions. 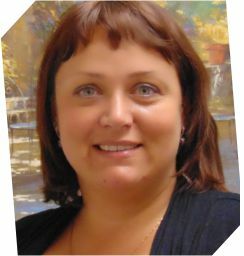 Jola Gantkowska has extensive experience in Human Resources and Recruitment Operations Management. Her main area of focus is managing multiple headcount teams delivering recruitment and administration services to AMS clients globally, with particular focus and expertise in the EMEA region. 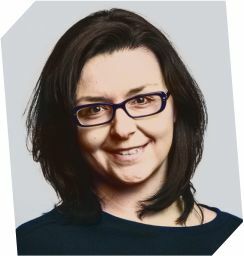 She is currently managing AMS’s largest centre in Kraków and a second site in Gdańsk. 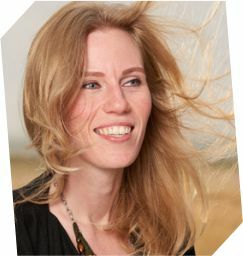 She is also responsible for Global Recruitment Administration processes within AMS. Jola graduated from the Kraków University of Economics, majoring in International Management, completed postgraduate studies in European Studies and Human Resources Management and also graduated from Erickson International College of Coaching. She is a member of the management board of ASPIRE. Head of Global Service Centres, IG Group; Founding member, ASPIRE. 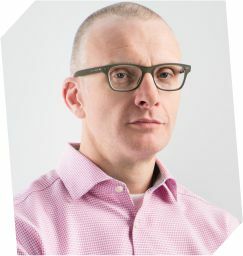 Eoin McCoy has lived and worked in Kraków for over 15 years and during that time has set up several leading technology and business services centres. Currently, Poland Head go online trading company IG Group, Eoin was previously Solutions Delivery Leader and Site Leader, Kraków for GE Healthcare – Life Sciences. He has a long track record of success in the Kraków market. Before joining GE, he setup and served as General Manager of the operations for both Aon and Sabre Holdings. Eoin has a depth of experience in software applications development & delivery, research & development, project and programme management and shared service operations, and his background also includes work at ICL/Fujistu and Huawei Technologies. 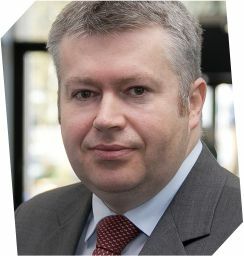 Eoin is a founding member of ASPIRE, a member of the Management Board and the Software Leaders Group. 16 years heading up Poland’s leading office furniture company. 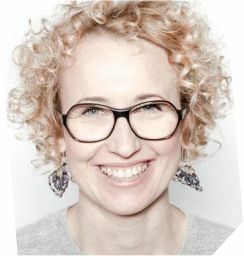 Beata Osiecka is Managing Director and CEO of Kinnarps Polska. She has been associated with the Kinnarps brand for over 20 years, since the setting up of the business in the Polish market. 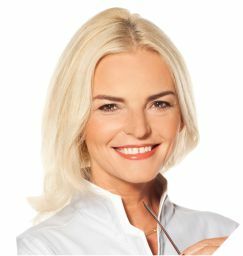 In 1991, Beata co-founded the Scandinavian Center company; in 1994 she established a department of the Design Center at Office Depot, and since 2000 she has had the role of Managing Director and CEO of Kinnarps Polska. 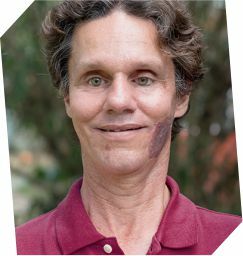 Author of the best-selling book ``The Science Delusion``; inventor of the theory of Morphic Resonance; banned by TED. 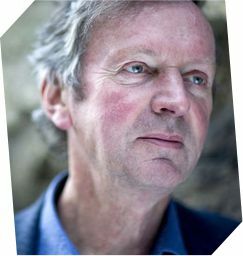 Rupert Sheldrake has been dubbed the most controversial scientist on Earth. His best-selling book, The Science Delusion, tackles what he calls the dogmas within conventional science which can blind us to deeper discoveries about the way the world works. At ASPIRE 4 ALL, Rupert will discuss the ten dogmas on which he says science is built. These dogmas, he says - for example, that nature is mechanical and purposeless, that the laws and constants of nature are fixed, and that psychic phenomena like telepathy are impossible — have held back the pursuit of knowledge. This is the talk they didn’t want you to see. First delivered at a TEDx event in London, the talk was subsequently removed by TED from its website. At ASPIRE 4 ALL, participants will have the opportunity to judge for themselves if Rupert’s are ideas worth spreading. Chief Technology Officer, Alexander Mann Solutions. 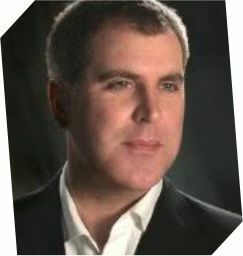 As Chief Technology Officer for Alexander Mann Solutions, Andrew is responsible for the the strategic direction of the company’s Global Technology and Business Intelligence functions, leading the charge on Digital Transformation, Talent Analytics, Robotic Process Automation and Artificial Intelligence programmes. Before joining Alexander Mann Solutions in 2015, Andrew had a 22 year career in technology, including 12 years in the staffing industry as a CIO/CTO of FTSE and NASDQ listed companies Michael Page and Hudson. Prior to that he worked at PwC rising to UK IT Director. Andrew is also a Chartered Accountant. Director of Amer Sports Finance Service Centre (CEE Shared Services Centre of the Year 2017). Hervé Hachet set up (in 2012) and is the Director of Amer Sports Financial Shared Service Center (AFSS) in Kraków. The Kraków centre delivers financial and IT services to Europe and North America business entities of Amer Sports, which include leading sports equipment and clothing brands such as Salomon, Atomic, Wilson, Precor, Suunto, Arcteryx and Mavic. Hervé has 30 years of experience managing financial teams, as a Chief Accountant for French supermarket companies, setting up several accounting teams from scratch to maturity, then Head of the accounting department in Salomon HQ and finally setting up and leading the Amer Sports service Centre in Kraków. Hervé is aiming to lead the Kraków team to the Centre of Excellence level, focusing on increasing internal capabilities, change management, and process efficiency, including robotics. 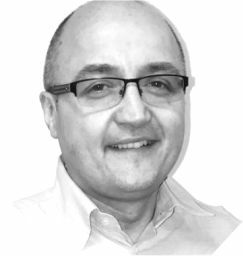 Hervé is a Member of the Management Board of ASPIRE and leads the ASPIRE Finance & Accountancy Leaders Group. 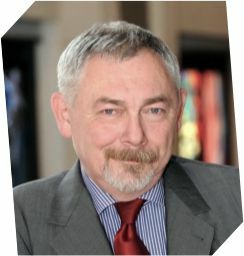 Managing Director of IBM Software Laboratory in Kraków. Sławek Kumka is Managing Director of the IBM Software Laboratory in Kraków, responsible for managing the growth of the centre and delivery of solutions based on technologies such as Cloud, Analytics and Big Data. He also manages projects related to European Union Funds focused on new technologies and innovation. Sławek has more than 20 years of experience in running software development projects, both in managerial and technical roles. 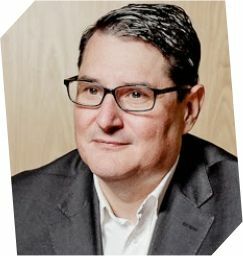 Prior to joining IBM, he served as Head of Production of Software and Technical Director in the Kraków branch of the Polish-French company IGE + XAO. He was responsible for directing and technical development of the CAD software for the electrical and the aerospace industry (designing wiring harnesses) in cooperation with Airbus and Eurocopter. 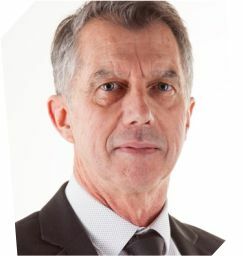 Later, he held the position of Technical Director at Apriso Poland, now part of Dassault Systems. Sławek is a graduate of AGH University of Science and Technology in Kraków and has an MBA from the University of Warwick. Sławek is a member of the Management Board and also a member of the ASPIRE Software Leaders Group. 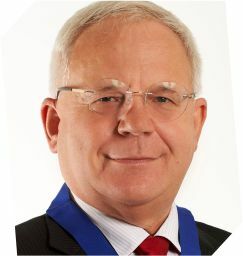 General Secretary and Founding Member of ASPIRE. Before ASPIRE, Andrew was Director of Regional Development and South Poland Director for the British Polish Chamber of Commerce and later established South Poland Business Link, a company supporting links between the international business community and local stakeholders, and the South Poland Presidents Club, an informal network of the leading foreign investors in the region. Before coming to Poland, Andrew worked in broadcasting and public affairs, for organisations such as the BBC, Channel 4, BSkyB, London Weekend Television, the British Labour Party and the Inner London Education Authority. He is a graduate of the University of Oxford and alumnus of the Cambridge University Business and Environment Programme. He also attended the Central and East European University in Prague. Halldóra gave a memorable talk talk about Universal Basic Income at TEDxRejkjavik and will now bring this debate to Kraków and inspire us to start questioning our current economic model and innovate our way into a more sustainable future. In a future where technological advancement, with machine learning and automation, is poised to greatly disrupt our societies and create an ever deepening inequality, we must look at the possibility of severing the connection between work and income and provide everyone with the means to thrive. * The Pirate Party rejects any regular leadership model. 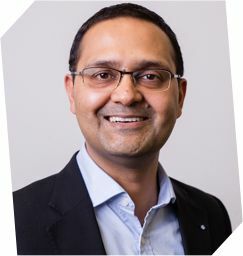 Shibu Nambiar leads a team of 5,000+ professionals across 8 service delivery locations in Europe, providing business process management and consulting services for a wide range of industries. 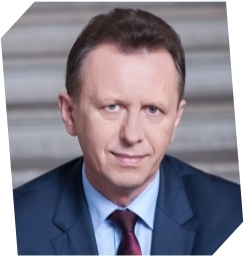 Managing Director, State Street Bank Poland; Founding Member, ASPIRE. Scott Newman is Senior Vice President, Managing Director and Board member of State Street Bank GmbH Poland branch. He is responsible for leading the local management team, business development and governance of the organisation. The State Street GmbH Poland branch was established in November 2007 and has since grown to more than 3,000 employees providing Fund Accounting, Derivatives, Securities Pricing, Hedge Fund Administration and Performance & Analytics on behalf of 10 State Street offices to more than 180 clients. Prior to transferring to Poland, Scott was based in Munich where he led the research and set-up of the new office in Kraków as well Relationship and project management roles. Scott joined State Street in 2003 through the acquisition of Deutsche Bank’s Global Custody business at which time he was based in Frankfurt, Germany and worked extensively on the DB acquisition and integration. At Deutsche Bank, Scott held roles in custody client service, Product Development and PMO. He holds a BA in Business Administration and is a German speaker. Scott is an ASPIRE Founding Member and Board Member. Head of Regional Finance Centres, Zurich Insurance; author of ``The Boy from Allahabad``. 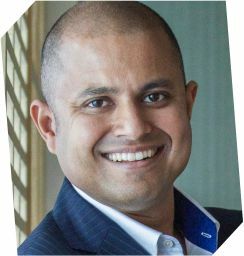 Ruchir is an established corporate executive with experience in multiple industries, functions and countries. His span of establishing and operating Shared Services Centres range from China, India, Thailand in Asia to Malaga, Bratislava and Krakow in Europe. The functions cover IT, Software, Investment Products, Real Estate, Finance and Legal while working in Consultancies, Investment Banking, Legal and Insurance industry. Ruchir started his career as SAP consultant, educated as Bachelor of Engineering, with an MBA in Finance & Strategy (Imperial College, London) and LLM (Masters of Law) in Corporate Finance law. Ruchir is also an author. His novel ``The Boy from Allahabad`` released recently is gaining good reviews and is available via all mainstream bookstores globally. Click here to learn more about The Boy from Allahabad. Marcus is a corporate executive with experience in multiple countries and functions. He has established and operated service centres in Europe, South America and Asia, spanning the Finance and Human Resources functions. He has worked in various fast moving consumer goods industries, with a stint running his own business during the dot-com boom in the early 2000s. Marcus majored in Economics and Finance at university in Portugal, and went on to complete a post-graduate degree in Operational Research in the United Kingdom. 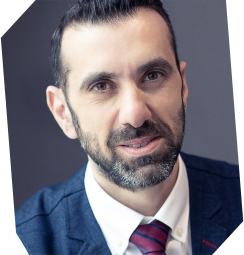 He started his career in process reengineering and SAP consultancy, next focusing on internal audit and assurance, and currently running large internal service delivery teams. He is passionate about individual and organizational development and has a keen interest in managing complex change processes. Pioneer in human echolocation, the ability to observe our surroundings via sound. Daniel Kish is one of the World’s foremost inspirational speakers. Blind since he was 13 months old, Daniel has learned to ``see`` using a form of echolocation. He clicks his tongue and sends out flashes of sound that bounce off surfaces in the environment and return to him, helping him to construct an understanding of the space around him. In a rousing talk, Kish shows how this works - and asks us all to let go of our fear of the dark unknown. His 2015 talk at TED Global has been viewed over 1.25 million times and he is described on the TED website as expanding the perceptual toolbox of both blind and sighted humans. Partner, PwC; Founding member, ASPIRE. Romek Lubaczewski is a Partner at PwC where he has worked for over 10 years, in Assurance, Business Process Outsourcing (BPO) and Advisory departments. Previous roles include Managing Partner of PwC Consulting practice in Poland and leader of the Shared Services Centres (SSC) Advisory Group for the CEE region. He currently leads PwC’s SSC and BPO Global Experts Group. He is a subject matter expert on a wide range of Shared Services Centre and BPO activities from initial analysis, financial modelling and due diligence through design, set-up, hiring, process transition and go-live. His SSC/BPO experience also covers operational management and process re-design at subsequent stages of centre operations. Romek has helped clients to open 31 centres in the last 10 years. He is a member of the ASPIRE management board. Anna is Shared Service Centre Head at Pearson. She has 10+ years of international experience in HR Shared Services operations management, including efficiency optimisation and business transformation, gained in a number of top global companies, including Intel, Electrolux and Shell. Anna has experience of leading in complex and fast changing environments, with a proven track record in building strong and effective teams on local and global levels. Jeff is a finance leader who has worked in various industries from Aerospace, Banking, and FMCG during times of growth, turmoil and transformation. Currently, he leads the accounting & reporting function at Philip Morris International’s largest Service Centre as they embark on the most radical transformation the industry has seen in over half a century. With an ear to the ground and an eye on the tides of transformation, Jeff applies global experience and perspectives to lead high performing teams. Jeff is a certified public accountant and plays a mean guitar. Since 2015, Jacek Krupa has been Marshal of the Małopolska Region, which has Kraków as it capital. An economist by profession, he previously served as Mayor of Skawina, a town bordering Kraków. He also served two terms as an MP in the Polish Parliament. Steven Swientozielskyj is an expert on world class improvements relating to complex service and change issues from process re-engineering and developing best-in-class delivery teams, to talent management and culture creation. Steven currently serves as Deputy President of CIMA, Board Member of the Association of International Certified Professional Accountants and CEO of Business Partnering Global. He was previously Head of Finance Shared Services at Network Rail. He is the author of the Business Partnering: a practical handbook, published in 2016. The book introduces a framework and practical set of tools and techniques via a simple six stage model that take the practitioner from start to finish through strategic change; from the formation and agreement of the strategy to its delivery and sustainability. Regional IT leader and passionate advocate for everything Kraków. 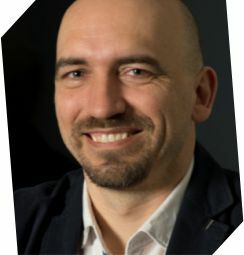 Ramón A. Tancinco II is the Regional IT Leader for CEE, RCIS & MEA for Cisco Systems, and Site Leader of the Cisco Centre in Kraków. He is also a Member of the Management Board of ASPIRE. A Cisco veteran of more than 10 years, Ramón was previously in the Cisco Services group where he managed an Information Technology Development team, as well as the Optical Networking Group (Cisco’s Cerent acquisition) where he had Engineering Management responsibilities in global business planning, new product introduction and process improvement/implementation. 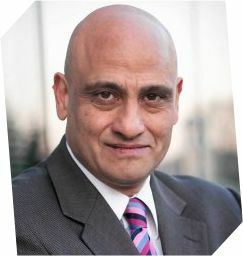 Ramón has a depth of experience in research and development, strategy formation, business development, programme management, operations and his background includes work at Andersen Consulting (now Accenture), an ERP software start-up (purchased by Metamor Technologies), and as a Captain in the United States Army Armour Corps. Ramón has spent many years living and working in Europe, Asia and the United States in varying roles where he has acquired a deep understanding of the people, cultures and business practices of these respective areas. Ramón received his Bachelor of Science in Management and Mechanical Engineering from the United States Military Academy at West Point. He has also completed Cisco’s prestigious Global Leadership Program in Athens, Greece. 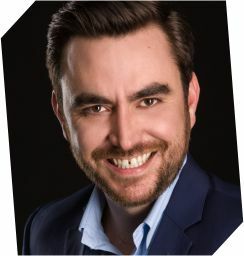 He is a dynamic speaker and has conducted presentations in such venues as the Thunderbird School of Business in Glendale, Arizona, the BaaN World User’s Conference for Anderson Consulting in Washington, D.C, and the IT Giants Conference in Kraków. Przemek is an entrepreneur whose vision is to make education and recruitment more personalised. In 2017 he made Forbes Magazine list of „30 under 30.`` - a list of 30 brightest millennial entrepreneurs, innovators and game changers. - Talentplace.pl a crowdstaffing platform that recruits millennials in 6 European countries. - Notatek.pl - the biggest educational website for students used by 2 million people every year. - Skillveo.com - on-demand corporate training platform offering over 300 hours of business trainings. Tom Acton is Acting Chief Operating Officer and Head of Strategy and Innovation for Global Operations at HSBC. Tom joined HSBC as a transformation consultant in December 2014, before being appointed Head of Strategy and Innovation in October 2016. He led the development of the Operations 2030 Vision and 2020 Strategy to transform the function and deliver products and services in ways that are simpler, better and faster for customers. The Operations transformation has included a review of organisational structure, operating model, data strategy and ways of working to improve the quality, speed, and cost effectiveness of the function. Tom has also overseen the launch of an internal crowd-sourcing tool, a partnership with a start-up network, and the introduction of emerging technologies such as AI and OCR. 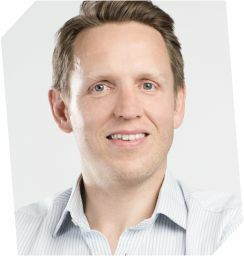 Prior to joining HSBC, Tom was a consultant with KPMG for more than eight years, specialising in operational transformation. He had previously worked at Accenture for three years.